My Turn to Helm: Where is Harmony? Looking at my last post I see ! 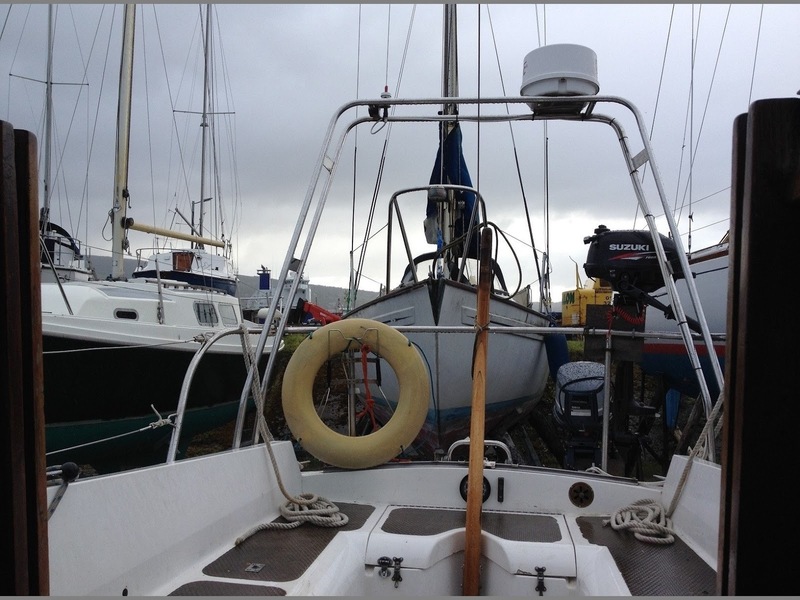 didn't explain that Harmony is on the yard at DRB Marine at Rosneath, on the shores of Gareloch just north of Glasgow. It was along drive up there and an even longer drive back! The weather was truly awful and although I got plenty done inside the boat the outside will have to wait 'til the next trip.